Family Nurse Practitioners play a vital role in our healthcare system as the need for primary patient care continues to increase. 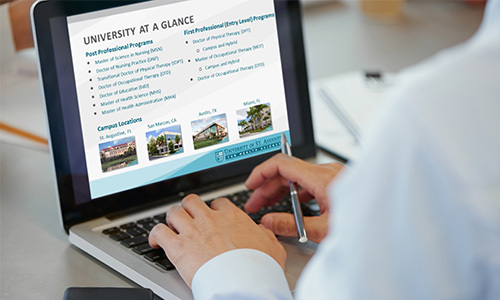 Join us online for our featured webinar to learn more about the University of St. Augustine’s Family Nurse Practitioner Specialization. Our Family Nurse Practitioner Role Specialization is available to students in the MSN and BSN to DNP programs. All of our degree programs combine our professional, high-quality instruction with an interdisciplinary educational curriculum. Complete the form below to register for this or future webinars and get a jump start on your application for admissions to the USAHS Family Nurse Practitioner (FNP) specialization!